← Coastside Writers! Print Your Own Book in Minutes…. 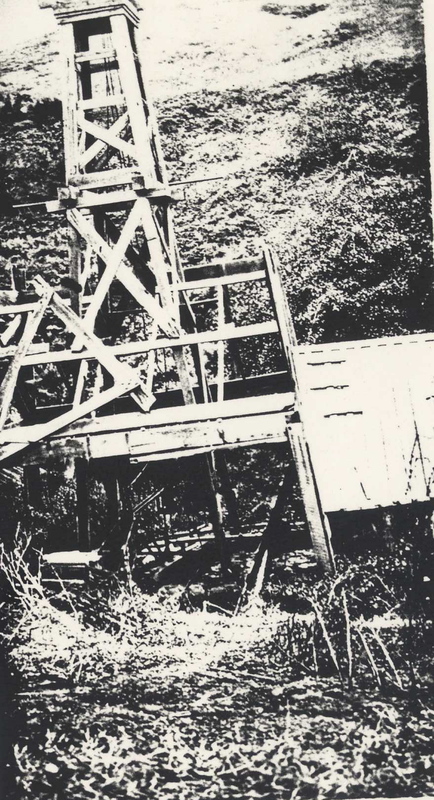 In the 1920s people looked for black gold—oil—in the Purissima-Tunitas Creek country. May 1884: Purissima Oil Co. (with offices on Montgomery St. in San Francisco) started “sinking” for oil on George Shoults’ land. 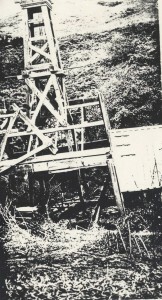 Purissima Oil bought the necessary machinery from the Bald Mountain Co., which had been exploring for crude oil since 1881. July 1884: “Strike” in the oil well caused a great deal of excitement in Purissima and San Francisco. Mr. Gutmann, the company manager, brought new investors to take a look. Several small springs near the “mining belt” gave good indications that oil was near. If the well on the George Shoults’ ranch proves successful, there will be an oil boom. March 1885: Purissima Oil Co. erected an immense tank for the storage of oil. The wells present a busy appearance and the oil is said to be of the finest quality. George Shoults’ place is yielding 20 barrels daily. March 1885: Purissima Oil Co. is boring for coal on Henry Dobbel’s land near the beach within a few hundred feet of where the Alice Buck was wrecked in 1882. The oilmen struck a fine flow of oil at 70 feet. May 1885: The Tunitas Petroleum Co. sold out their lease and all machinery to a San Francisco man. The terms were private. Just completed–a well at a depth of 500 feet. They are erecting a derrick about 500 feet east of the present well. August 1885: The Tunitas Petroleum Co. hauled 19 iron tanks of crude oil to Redwood City from wells near the Saunders Bros. Mill. The tanks weigh 900 pounds each and contain 105 gallons. The former shipments from these wells contained 65% of fine petroleum. They will be taken to San Francisco on the schooner Cornelius. July 1886: Purissima, the center of the oil region, this being 8 or 10 wells in the vicinity, two of which are very promising. Oil has already been shipped to San Francisco, pronounced to be of good quality. January 1888: Our oil wells are now producing 5 or 6 barrels a day each.